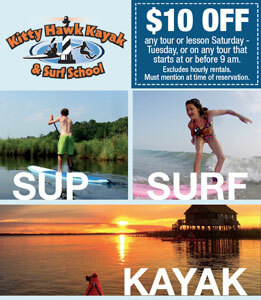 Magazine ad design for Kitty Hawk Kayak and Surf School, a kayak and surf lesson and rental business located on the Outer Banks of North Carolina. 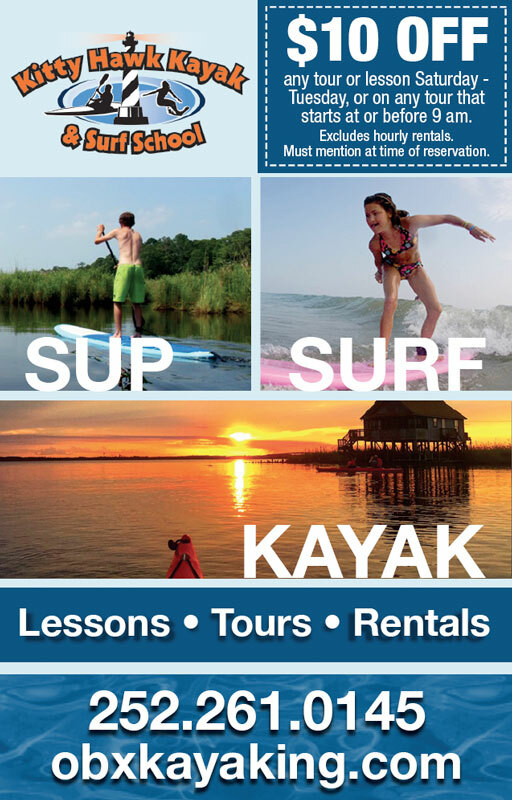 The business markets to families that come on vacation and want to experience water sports. We used fun and inviting pictures to depict the experience they can expect.